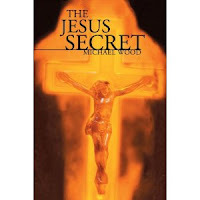 In his non-fiction work, ‘The Jesus Secret,’ author Michael Wood presents specific passages from the Bible and translates the passages from original Greek manuscripts, known as Koine Greek language. The translators of the first English Bibles believed they were translating a special language written specifically for the bible. However, at the turn of the twentieth century, Greek manuscripts were uncovered in Egypt where the language was found to be the same as the Bible. Koine Greek language is the language that English translators translated the first English bibles. What Wood reveals is that the text of today’s bible contains many mistranslations resulting in incorrect interpretations of important biblical passages. What we have now is Christianity with flawed beliefs and teachings. Wood documents important passages that contain incorrect translations. The English Bible is filled with a number of wrongly guessed meanings of specific words. A key meaning throughout the book focuses on the Koine Greek word ‘dikaios,’ which was translated incorrectly as ‘moral righteousness.’ However, the Koine Greek word ‘dikaios’ means ‘justice and equality.’ New meanings are revealed regarding such issues as: homosexuality, greed, justice, equality, human rights, the concept of repentance, salvation, and much more. As Wood points out, much of the meaning of Jesus words are rooted in the doctrine ‘equity based requirements.’ That is, Jesus’ central teaching: ‘treat others equitably for this is the law.’ Dikaios was the closest Koine Greek word to expressing ‘treating others equal to ourselves.’ As Wood points out, it is mentioned 193 times in the New Testament. I found the ‘Jesus Secret’ a very informative and easy to understand read. I was particularly fascinated by how such incorrect translations have shaped the Christianity belief system we have today, especially for those who base their political, social, and religious beliefs on the New Testament. It is quite clear that the many English translations of the Bible have resulted in important translations and meanings being lost. I highly recommend ‘The Jesus Secret’ to readers who enjoy learning about the history of the Bible as well as to readers who want to find more accurate meaning in the passages and words found in the Bible.